Tiger Shroff's Baaghi 2 look created waves ever since the first look of the film released. The audience loved the actor's new avatar and in no time fans across the nation were seen sporting the short haircut of the actor. The journey to achieve the look, however, has been very painful for the Baaghi actor. It's a known fact that Tiger Shroff loves his hair and since teenage, he had preserved his long tresses. However, because of producer Sajid Nadiadwala Tiger Shroff shed his hair. 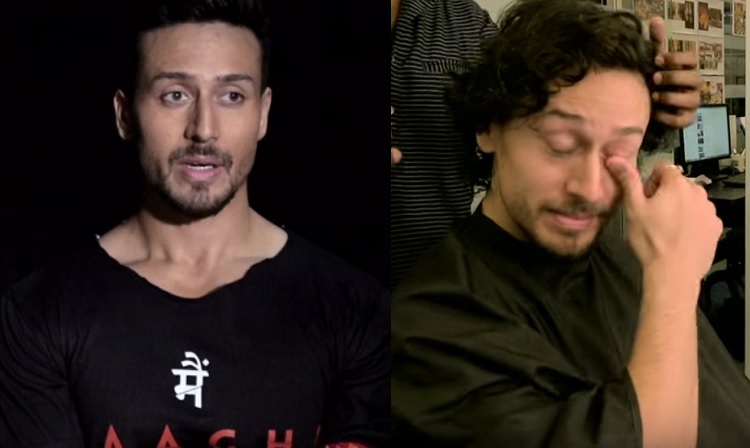 Tiger Shroff was seen teary-eyed in the video showcasing the transformation of the actor. The actor said, "I'm very thankful to Sajid Nadiadwala and Ahmed Khan, both my mentors, to sort of convinced me (to get the haircut)." The actor admitted he was scared as he doesn't like cutting his hair. Director Ahmed Khan revealed why Tiger Shroff was speechless, he said, "You can see Tiger is scared that's why he isn't saying anything. And this is the first time Tiggy we are going so short." Tiger further added, "I was really nervous and was really against the idea but I'm no one to argue against those two, they are my boss." Talking about the experience Tiger Shroff said, "I was really going through hell around that time, but they were really nice, they cut it really slowly and sort of took it step by step so it was not too much of a drastic step." Tiger said, "I've been blessed with such a strong team, I had to just surrender myself. I'm glad it didn't backfire and it was accepted so graciously by the public when the first look had come out." 'Baaghi 2' would bring to celluloid the pair of Tiger Shroff and Disha Patani for the first time. There has been huge excitement to witness the chemistry of the sizzling couple on screen. Sajid Nadiadwala has managed to bring to screen one of the most anticipated pairs of Bollywood. The film also features Manoj Bajpayee, Randeep Hooda and Pratiek Babbar in pivotal roles.